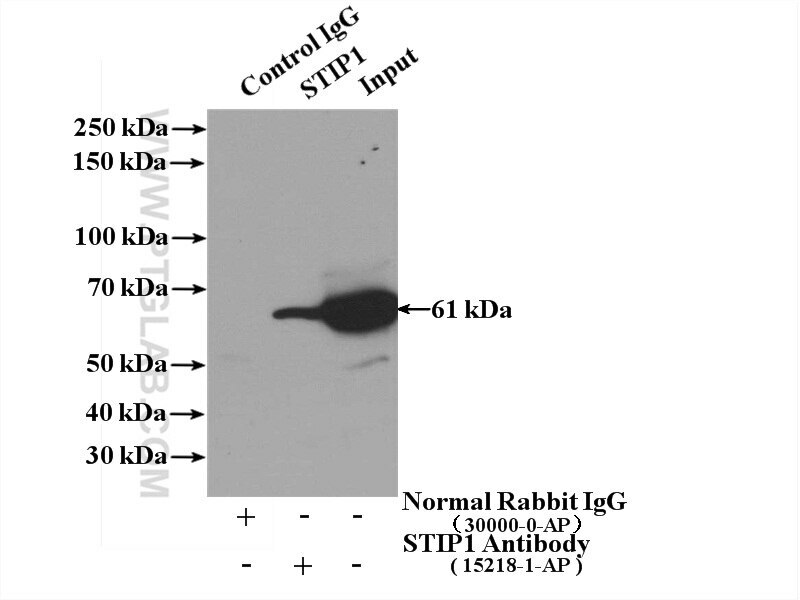 Immunofluorescent analysis of MCF-7 cells, using STIP1 antibody 15218-1-AP at 1:25 dilution and Rhodamine-labeled goat anti-rabbit IgG (red). 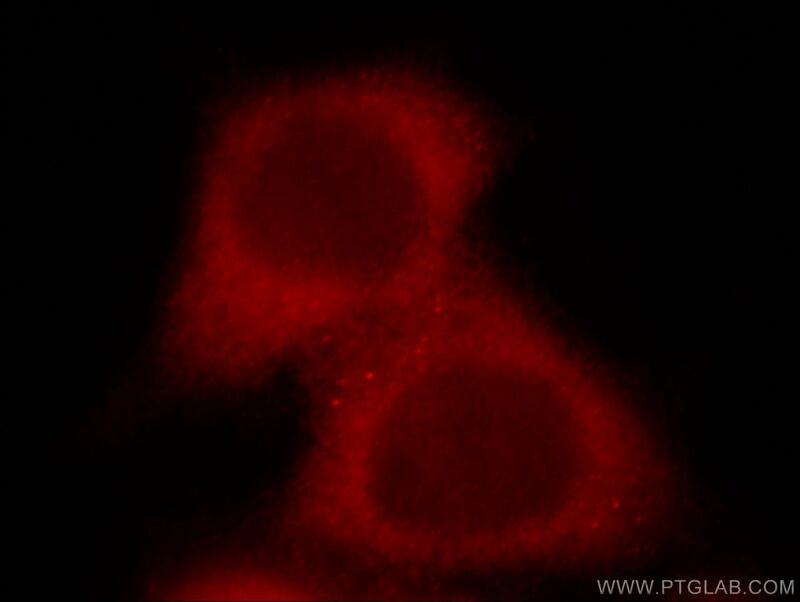 IP Result of anti-STIP1 (IP:15218-1-AP, 4ug; Detection:15218-1-AP 1:500) with Jurkat cells lysate 2400ug. Systematic study of stress-inducible protein 1 (Stip1) in male reproductive system and its expression during stress response.